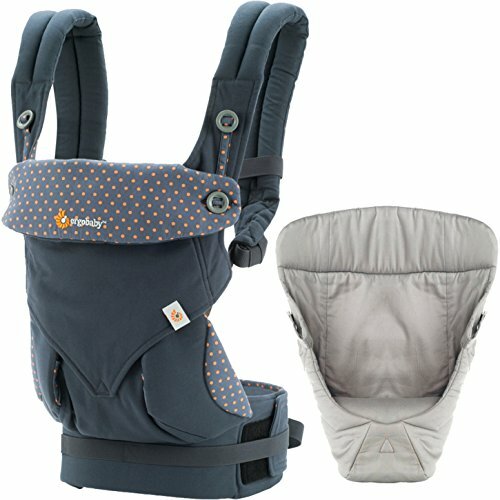 Bundle Includes Ergobaby 360 Baby Carrier in Dusty Blue and Easy Snug Infant Insert Grey. The first-in-line design that made our name, now in it's third- generation, the Ergobaby 360 Carrier has evolved to make it more comfortable than ever. Made of durable cotton canvas with high-density padding and straps that adjust for the perfect mutual fit. It is available in a variety of popular colors and as with all Ergobaby carriers, it keeps baby safe, close, and comfortable while providing you freedom of movement.